kidslooklikekats: The Fiery Furnaces: "I'm Going Away". The Fiery Furnace's sister/brother duo of Eleanor and Matthew Friedberger try on a more traditional rock & roll sound atop their experimental skins with 2009's I'm Going Away, the band's eighth studio album and third on Chicago's Thrill Jockey records, and the resulting twelve songs seem more an appropriation of Joni Mitchell's vocal-driven folk-rock drug over Neil Young's bloody body than a proper follow-up in league with The Fiery Furnace's usually-quirky, spastic neo-new wave freakouts. Quite a different band from 2006's Bitter Tea, yet one would be a bit hasty in completely writing off the soulful duo's latest effort, as there are quite a few shiners here, packed up tightly onto the B-side; namely, "Drive To Dallas", "Lost At Sea", "Take Me Round Again", and "Cups And Punches". If you're looking for a healthy dose of straight-forward indie blues-rock amidst the burgeoning seas of reverby neo-psychedelia and sixties-revival, look no further. The Fiery Furnaces are set to release I'm Going Away on July 1st. Visit thrilljockey.com for more information. 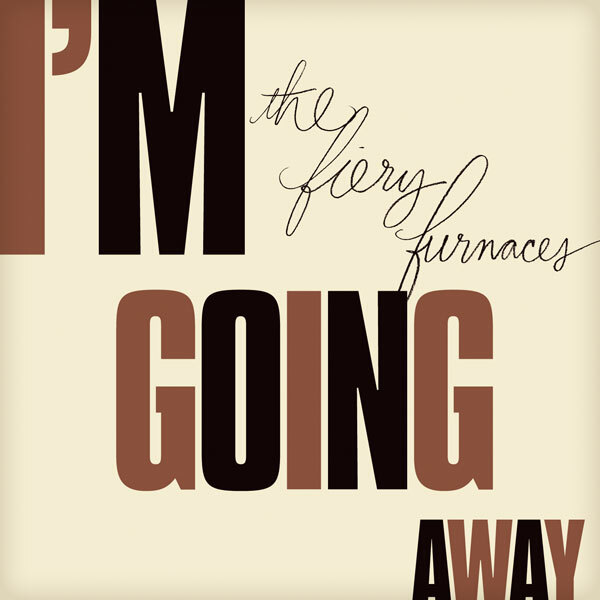 >>Download "The End Is Near" from The Fiery Furnaces' I'm Going Away!